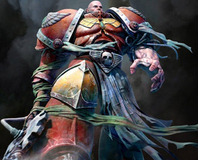 THQ has announced a new Dawn of War 2 expansion, called Retribution. 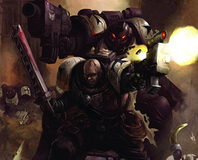 The forces of Chaos are stirring, and it's up to the Blood Ravens to unleash some Warhammer 40K ultra-violence to stop them. 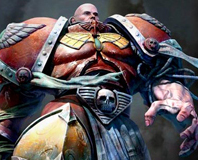 We take a look at the first expansion to Dawn of War II and find out if it's worth getting out the paints and codex book for. 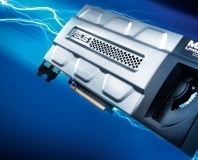 Asus has done what Nvidia couldn't, and paired two full-speed GeForce GTX 285 GPUs on one card. The GTX 295 uses two under-clocked GTX 275 GPUs, so the Mars should be the fasest graphics card on the planet (for a little while, at least). 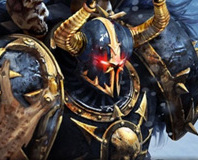 It's time for more WARGGHHH! 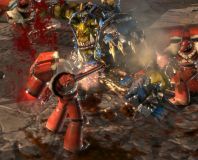 With the much anticipated Dawn of War 2 entering public beta tomorrow, we take a look to see how things have changed and what you can expect when you jump online and start carving up your enemies! 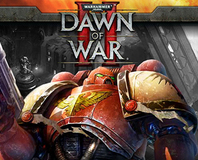 If you're excited for the release of THQ's Warhammer 40K: Dawn of War 2 later this year then you may want to take a look at this.